Thanks to all of you for your terrific photo submissions this week! We’ve enjoyed seeing them all, and are looking forward to announcing winners soon. Today, we’re switching it up: Send us your best video of sailing on your boat to info@chicagosailracing.org. One lucky winner will receive a duffel bag, courtesy of CASRA’s exclusive sailmaking partner – North Sails! Please submit all videos by 9 AM on Monday, March 11th to info@chicagosailracing.org. And remember, during ALL of CASRA Week, you’ve got another chance to win. Make sure your crew and sailing friends are signed up for CASRA e-mails by visiting www.chicagosailracing.org. We expect lots of new subscribers this week. One lucky new subscriber will win a $50 gift certificate to Weather Mark Tavern. And better still, the person who referred them will ALSO win a $50 gift certificate! Send a note to everyone in that crew photo, and encourage them to sign up for Chicago racing updates at www.chicagosailracing.org. Stay tuned for another CASRA Week feature tomorrow. Send us any questions or comments at info@chicagosailracing.org. Chicago Yacht Club has released its report concerning the fatality that occurred during the 2018 Chicago Yacht Club Race to Mackinac. Please click here to access the report. Additionally, CYC has provided a presentation regarding “What’s New” with the 111th Race. Click here to check out the slides from this presentation. During March, CYC is offering three different seminars, open to all CASRA sailors. Please review the information below. Space is limited, so please register ASAP. Complimentary appetizers and cash bar during the event. Everyone is welcome, from any club, on any boat or anybody who wants to sail! The whole point is to put crew and potential crew, beginners to advanced, together with boat owners to exchange information and then enjoy a one- hour presentation on Downwind Heavy Weather Racing by Perry Lewis of North Sails. This is open to all sailors. Please invite anyone you know who may want to sail and who may need to find a boat to sail on. Click here to register. $25 CYC Members, $30 Non-Members. Complimentary appetizers and cash bar during the event. This seminar takes a look at strategy and tactics around the racecourse through the eyes of a drone above the fleet. It examines and explains common situations at the start, first beat, windward mark, run, leeward mark, gate and finish. Covers strategic options, boat-on-boat moves and rules. Seminar presenter will be Dave Dellenbaugh, publisher of the Speed & Smarts newsletter, 4-time America's Cup competitor and multi-national champion. To register, please call CYC at (312) 861-7777. Click here for additional information. $65 CYC Members, $75 Non-Members. Includes pastries & beverages in the morning and boxed lunches in the afternoon. These seminars examine the strategy and tactics of Starting and Mark Rounding. Starting topics will include starting philosophy, pre-start planning, picking a place to start, the importance of line bias, using a line sight, current, defending your hole, making a final approach, coming off the line, troubleshooting, evaluating risk and key racing rules. Mark Rounding topics include turning mechanics, boat-on-boat tactics, strategic vs. tactical roundings, exit strategies, rounding a gate mark, how to finish ahead of nearby boats and everything you need to know about mark-room. Seminar presenter will be Dave Dellenbaugh. To register, please call CYC at (312) 861-7777. Click here for additional information. If your boat had an LMPHRF certificate in 2018, you should have received information about the new on-line application process. If LMPHRF had your e-mail, it attempted to send you this information via e-mail, which contained a login ID and initial password. Please use these credentials to go online and renew your certificate. If your boat had an LMPHRF certificate in 2018, and you did NOT receive an e-mail, please contact LMPHRF via e-mail at lmphrf@lmphrf.org ASAP to request a login ID and password. If anyone has a new boat or would like to apply for a LMPHRF certificate for the first time (or after a lapse), you can begin the process by sending an email to lmphrf@lmphrf.org requesting a login ID and password. As part of the new on-line application or renewal process, you’ll be asked information about your boat. Please make every effort to ensure that your information is correct. You may wish to review other sisterships in the LMPHRF database if you are in doubt as to specific measurements. You can pay for your 2019 certificate on-line through PayPal. Both renewals and new applications are $55 prior to March 15, and will increase to $75 thereafter, so don’t delay in renewing. LMPHRF will begin issuing certificates after it has had a chance to review submitted data, which will take several weeks, so please be patient! We strongly recommend that you check out the LMPHRF website for more information about the new on-line system. Click here to learn more about the process. Want to learn even more about LMPHRF and how it works? CCYC is hosting an LMPHRF information session on Saturday, February 23rd from 1-3 PM. Click here to learn more. Thanks to our friends at LMPHRF for listening to the sailors and making it easier to race in Chicago this year! We encourage you to take advantage of numerous safety programs offered by CASRA member clubs and US Sailing. As a reminder, the Chicago Yacht Club Race to Mackinac (“CYCRTM”) is requiring that 50 percent of all participating crew members hold a current certificate (valid for 5 years) in either the Safety at Sea basic course (“Day One”) or Safety at Sea Hands on Training course (“Day Two”). The CYCRTM is recommending that at least 30 percent of all crew members be certified in Safety at Sea Hands On Training course. Note: A valid certificate in Safety at Sea basic course is required to enroll in the Safety at Sea Hands on Training course. US Sailing offers the Offshore Safety at Sea basic course on-line. Click here to learn more and to take the course. Chicago Corinthian Yacht Club will offer a Winter Seminar featuring registered nurse and USGC 100 Ton Captain Shelly Galligan, who will speak about medical emergencies. Course will be held at Chicago Corinthian Yacht Club from 9 AM to noon. Register by e-mailing Steve Fink at sfink26340@aol.com. Chicago Yacht Club will host a Lifejacket Clinic on March 24th at Monroe Station. Industry experts will be on-site to assist and review the mechanics of inflatable PFDs, and other safety equipment in this hands-on clinic. More details will follow in the near future. Chicago Yacht Club will offer an International Offshore Safety at Sea with Hands on Training. Enroll in this two-day course to cover all safety aspects of racing or sailing a boat offshore, including crew overboard procedures, use of PFDs, life rafts, flares, damage control, and heavy air sail trim. More details will follow in the near future. Jackson Park Yacht Club will offer a Storm Trysail Foundation Junior Safety at Sea class on June 22. More details will follow in the near future. This year’s schedule includes racing for four different fleets. The traditional racing schedule listed racing for offshore boats. Now, CASRA is also promoting inshore events (for smaller keelboats), junior events (focused on kids), and remote-controlled boat sailing events, given the strong uptick in RC sailing in Chicago. In 2019, CASRA clubs will offer dedicated sections for double-handed racers in selected events. CASRA will also offer a new “30 and Under” Section in selected events. The “30 and Under” section provides competition for smaller keelboats looking for a competitive venue, but that do not have existing one-design “homes” elsewhere in Chicago. This new section will provide inshore racing for boats: (A) measuring 30 feet or less LOA; and (B) an LMPHRF rating slower than 114. 2019 will feature the First Annual Chicago Race Week. Chicago Race Week will be anchored by two traditional August events – the Columbia Cup and the Verve Cup. On Tuesday evening, three of our member clubs will offer “beer can” style races, finishing off downtown. On Wednesday evening, CASRA clubs will offer a “Hundred Boats on a Beer Can” event, with all Chicago beer can racing taking place on the same race course. Both Tuesday and Wednesday evening will feature parties for all participants. CASRA will offer overall prizes for winners of Chicago Race Week, in both the Offshore and Junior events. CASRA clubs will be offering a race for female helmsman – the Zukasky Memorial, and a new pursuit-style race, the “Stripes Regatta.” For smaller boats, we are offering the new “Jack and Back” Regatta in July, featuring distance racing between Montrose and Jackson Park Harbors. And in conjunction with our friends in St. Joseph, we will offer a race from St. Joseph to Chicago, to give Queen’s Cup participants the opportunity to race back to Chicago. Of course, CASRA clubs will continue to offer many of the same traditional events from prior years, as well as the Chicago Harbors Casual Series and the CASRA Charity Challenge. I am also pleased to report that all five clubs are working collaboratively to bring you the best possible racing here in Chicagoland. Specifically, later this month, on-water race officials from all five CASRA clubs will meet jointly to discuss how we can provide you with better race management. I’d also like to offer a special thanks to our CASRA Gold Sponsors, including Wintrust, North Sails, Pinnacle Yachts, Manitowoc Marina, and Westrec Marinas for their support of racing in Chicagoland. Please visit our sponsors, as well as our five member clubs – Burnham Park Yacht Club, Chicago Yacht Club, Chicago Corinthian Yacht Club, Columbia Yacht Club, and Jackson Park Yacht Club – at the Chicago Boat Show this weekend. We will be in touch often with more details in the coming months. As always, e-mail us at info@chicagosailracing.org if you have any questions. We look forward to seeing you on the water (more) often in 2019! Congratulations to all 2018 winners, many of whom received their prizes at the CASRA Town Hall Meeting and End of Season Celebration. We had more than 100 sailors join us for the Town Hall, and many more for the party at Columbia Yacht Club afterwards. Please see below some photos from the event, and click here to see the results of the 2018 survey that were presented at the Town Hall. Special thanks to Mike Hettel, who served as President of CASRA for the past two years. We are deeply grateful for his leadership and passion for our sport! CASRA is working on plans for the 2019 racing schedule. We appreciate everyone's feedback on the survey. If you'd like to share any additional thoughts or comments, please shoot us an e mail at info@chicagosailracing.org. The 2019 racing season is only six months away! Planning for 2019, Awards, Free Beer and Music, and Fellow Sailors – Do It ALL Tomorrow! Plan to attend Town Hall Meeting and End of Season Celebration this Friday, November 6th at Columbia Yacht Club. The Town Hall meeting begins at 6:30 PM and will end by 7:30 PM. The agenda will be as follows. Enjoy complimentary beer during the meeting, compliments of Anchor Brewing. After the meeting adjourns, we’ll all head up to the aft deck of Columbia Yacht Club to enjoy live music, compliments of CASRA. Don’t miss the fun. See you tomorrow night at Columbia! Attend the CASRA Town Hall Meeting and End of Season Celebration this Friday! Don’t miss the CASRA Town Hall Meeting and End of Season Celebration this Friday, November 9th at Columbia Yacht Club. The Town Hall meeting begins at 6:30 PM and will end by 7:30 PM. Enjoy complimentary beer during the meeting, compliments of Anchor Brewing. After the meeting adjourns, we’ll all head up to the aft deck of Columbia Yacht Club to enjoy live music, compliments of CASRA. If you won an award in a CASRA race this season (and have not already received it), you’ll be able to pick it up at the party. Don’t miss this fun and informative evening. See you Friday at 6:30 PM! We’ve had a great season so far, including a number of terrific charitable events, including our First Annual CASRA Veteran’s Cruise, Jackson Park Yacht Club’s Gold Star Regatta, Columbia Yacht Club’s Leukemia Cup, and the Chicago Yacht Club’s Chicago Regatta. Thanks to all who participated! Send an e-mail to fwitt1@comcast.net. Include “JPYC Photo” in the subject line. Provide your boat name and sail number in the body of the email message. JPYC will send you up to three (3) emails with attachments of the best photos it has. If you don’t like them, just delete them. If you like them and want to keep them, simply make a donation to the JACKSON PARK YACHT CLUB FOUNDATION. The amount is up to you. The JPYC Foundation is dedicated to promoting sailing among out city’s youth and encouraging the next generation of racers and crew. To donate, go to www.jacksonparkyachtclub.org and click on the “Foundation” tab at the top right hand corner of the website. Click on “Pay Now” button on the left side and follow the directions to make your donation. Photos are for your personal use only. If you would like to license these for commercial purposes, please e-mail fwitt1@comcast.net. Thanks for helping us support some great causes this year! See you on the water. Last month, the LMPHRF Council of Handicappers elected Keith Stauber as LMPHRF’s new Executive Director. Keith has been sailing for more than 40 years and is a seven time San Juan 24 North American Class Association champion. He currently campaigns The Papa Gaucho, a J-35 out of Duluth, Minnesota, and regularly participates in all major races on Lake Superior from Thunder Bay in Ontario to Sault Ste Marie for the Trans-Superior race, as well as major races in the southern Great Lakes, including the Chicago Yacht Club Race to Mackinac and the Bayview-Mackinac Race. Please see a press release from LMPHRF announcing Keith’s appointment. CASRA is pleased to report that it has opened up a line of communication with Keith, and he has committed to maintaining open dialogue with CASRA sailors. To that end, Keith will be on hand to answer questions at the CASRA Town Hall Meeting & End Of Season Celebration November 9th at Columbia Yacht Club. Please plan on joining us then. A Special Meeting of the Lake Michigan Performance Handicap Racing Fleet Executive Committee was held on August 6, 2018 to elect an interim Executive Director due to the untimely death of Paul Ansfield, who served as Executive Director of LMPHRF for decades. Keith Stauber, a longtime member of the Council and Regional Handicapper for Area VIII, was unanimously elected as Interim Executive Director until 2020 to complete the term of Paul Ansfield. Under Keith’s leadership, the executive board and council members are working to continue moving forward with a modernization of the LMPHRF operations including online applications and electronic payment capabilities prior to the 2019 season. LMPHRF looks forward to providing continued handicapping services to the sailing community under the direction of Keith Stauber. CASRA is pleased to announce and welcome Manitowoc Marina as a Gold-Level Sponsor. Led by Rich Larsen, a leading expert in marine maintenance and repair, Manitowoc Marina is the most comprehensive full-service boatyard on Lake Michigan. And as a special offer for Chicago boat owners, Manitowoc Marina offers FREE boat PICKUP and DELIVERY to/from Chicago for indoor, heated storage customers! Call or email Chris Marx at (920) 682-5117 or cmarx@manitowoc-marina.com for more information. CASRA looks forward to a long-term relationship with Manitowoc Marina. We are proud to have them on board. It’s not too late to participate in the First-Annual CASRA Charity Challenge. This season, CASRA clubs are hosting three different charity-focused events. On Saturday, July 7th, 2018, Jackson Park Yacht Club hosted the Gold Star Regatta, benefitting the 100 Club of Chicago and the Brotherhood for the Fallen. The Gold Star saw more than 25 boats participating and raised more than $10,000! How does the Charity Challenge work? Enter and participate in at least two of the three races in the series. Make a donation to one or more of each race’s participating charities. Receive a commemorative brag flag and verbal recognition at the CASRA Town Hall and End of Season Celebration. Those who participate in two of the three events will receive a “Silver” brag flag. Those who participate in all three events will receive a “Gold” brag flag. Please help us make a difference. As always, please direct any questions to info@chicagosailracing.org. A couple of hundred veterans enjoyed an afternoon on the water, courtesy of the collaboration among CASRA, MOUSA, and the five CASRA yacht clubs (Burnham Park YC; Chicago Corinthian YC; Chicago YC, Columbia YC; Jackson Park YC). The 1st Annual Veteran's Cruise had been under development since October 2017 and July 1st the day had finally arrived, for the 1st annual Veterans Lake Front Cruise. More than 200 veterans and their family members & guests, were treated to an afternoon on the water, most in sail boats and some in power boats, by volunteer boat owners from the five CASRA yacht clubs. Winds were brisk, seas were less than calm (Monroe outer harbor had a 3+ foot chop), and a squall line was forecast to arrive around 4 pm, yet the day came off perfectly. Choreographed like a Swiss watch, motor coaches full of veterans arrived at each CASRA yacht club between 12:30 and 1:00 pm. Following safety briefings, veterans were led to their assigned boat by the boat owners/skippers. Another safety briefing on board specific to each boat, then lines were cast and off all went. Some sailboats hoisted sail, while others didn't (recall brisk winds, 3+ foot chop, and veterans totally new to sailing). On the power boats, all veterans opted to be out on deck in the fresh air to take in the sights of the harbors, Navy Pier, the Playpen, city skyline, etc. Four of the five veterans on the boat I was on had never seen Chicago from the water...needless to say it was a great experience for them all. MOUSA (Military Outreach USA), a charitable organization dedicated to supporting veterans from all conflicts, did the heavy lifting of all shore side activities. CASRA clubs organized and coordinated all on the water activities. A BIG THANK YOU to boat owners who volunteered their boats and their time, MOUSA and the five CASRA yacht clubs. As racing sailors we all feel the passion of our sport, however, the feeling of being able to show those who've served our country a nice afternoon on the water is truly immeasurable. All owners are welcome to join the 2019 iteration. Each of these three races will provide a great day on the water, a fun post-race party, and will raise money for some great causes. Please help us make a difference! Simply enter the Gold Star Regatta, Leukemia Cup, and the Chicago Regatta, and you will be automatically entered in the CASRA Charity Challenge! Please help us make a difference, and sign up today! As always, please direct any questions to info@chicagosailracing.org. Series prizes will be awarded for both spinnaker and non-spinnaker divisions. Please click the link below to learn more and to sign up. Get a crew together and make plans to join us for fun on the water this summer! As outlined in the racing documents, all skippers must upload a copy of their LMPHRF certificate. For the 2018 sailing season, CASRA has partnered with RailMeets to store certificates. You can upload your certificate here or click on “Rating Validation” in the main navigation at the top of this page. This will bring you to the RailMeets site. If you are an existing RailMeets user you can log in using your current credentials. To create an account, enter your name, email address, and password or use Google + or Facebook to get started. Create your profile, add CASRA as your club then add your boat your boat to the system. From your boat’s profile page, upload your LMPHRF certificate. Need detailed instructions? They can be found on the RailMeets blog. We understand that LMPHRF certificates contain personal information, such as names and addresses. Please know that only race organizers have access to this information. Certificates are not posted for public viewing. Please let us know if you have any questions – info@chicagosailracing.org. Ken Read, President of North Sails and world-renowned competitive sailor, has participated in many world-class events, including the Volvo Ocean Race, Sydney Hobart, and the Comanche project. Ken will speak on the state and future of the sport on Thursday, May 24th, beginning at 6:30 PM at Chicago Yacht Club’s Monroe Station. North Sails is a proud Gold Level sponsor of CASRA, and all CASRA racers are invited to attend. Please call the Chicago Yacht Club Front Desk at 312-861-7777 to RSVP. This is a free event! At North Sails we understand the importance of protecting our oceans, lakes and beaches. It can be the smallest change in your day to day lives or a grand gesture, but each and every act can help protect the places we love. 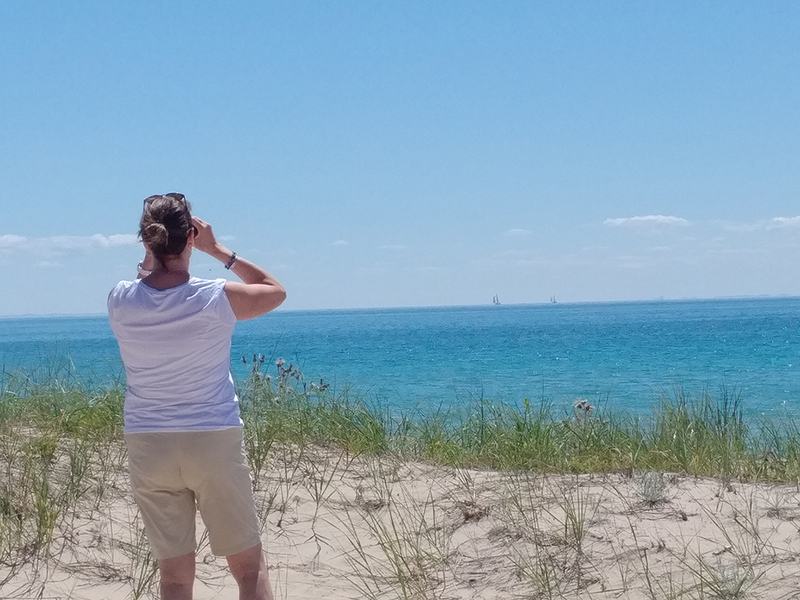 Join our crew alongside The Alliance Of The Great Lakes on May 18th for a beach clean up at Montrose Beach, followed by refreshments at Chicago Corinthian Yacht Club. Meeting point is at the Montrose Beach House, 3pm. Start the season off the right way, the good way. See you there! It’s almost time to go racing. Do yourself a favor and save a few bucks: Enter CASRA races by Tuesday, May 15th, and you’ll receive a $10 discount on each race. Go to chicagosailracing.org/races to register. As always, please e-mail us at info@chicagosailracing.org if you have any questions. See you on the water soon! Do you want to race sailboats this year? Do you like saving money? Sure you do! Go to chicagosailracing.org/races to register for racing in 2018. If you enter by May 15th, you receive a $10 discount on all races. And, on the off chance you need to withdraw, you can receive a refund of your entry fee. Talk to your crew, set your schedule, and sign up today. As always, please e-mail us at info@chicagosailracing.org if you have any questions! Enter 2018 CASRA Races Today! We are pleased to announce that registration links for CASRA races are now live. Go to chicagosailracing.org/races to register for racing in 2018. Remember, if you enter by May 15th, you receive a $10 discount on all races. It pays to sign up early, especially since entry fees are now refundable this year! A special note to all one design classes: Per the Notices of Races, one-design classes will be offered for each race, provided that: 1) each one-design class requests a one-design section via letter directed to info@chicagosailracing.org no later than May 1, 2018; and 2) at least four boats from that class enter that Race no later than one week prior to the Race’s start date. Make sure your fleet captains provide us with this information, and sign up early to ensure your one-design section will be offered in races! Please direct any questions to info@chicagosailracing.org. See you on the water. Let’s hope the snow melts before the Spring Opener on May 27th! New Rating Certificate Functionality - To facilitate and enhance rating validation, owners will be asked to provide a copy of their LMPHRF certificate. Click on the Rating Validation tab at chicagosailracing.org to upload your certificate. This new functionality is Powered by RailMeets so if you are a current user the same ID and password will work here. If you're not a current user click on the "Add Me!" link at the top of the page. Casual Series – This year’s Casual Races, presented by Westrec, will feature some new courses. We’ll also award series prizes at our End of Season Celebration. As was true last year, entry in this series will be free to all Westrec permittees. Early Entry Fee Incentive – This year, you can save $10 off each race’s entry fee if you enter by May 15, 2018. So, please talk to your crew, plan your schedules, and take advantage of this discount! Entry Fee Refunds – If your plans change, and you can’t race on a particular date, no worries. Entry fees are now refundable. See the Notices of Race for more details. New Race Format – Burnham Park Yacht Club’s Zukasky Memorial will include a trapezoid course this year, in response to competitors’ desire for alternative race courses. Simplified Safety Regulations – We have reviewed last year’s safety regulations, and have simplified them for this year. Please carefully review the 2018 safety regulations, as well as the changes. Easier Protest Procedure – Need to protest? It’s now much easier. Simply e-mail your protest info to the address in the race documents. Electric Winches Now Allowed in Distance Races – This seasons, we will allow use of electric winches in the Casual and Distance Races. Please consult the race documents for further details. Get ready to race! We look forward to seeing you on the water soon. Just in time for your 2018 racing program are a couple of seminars presented by Quantum Sails, as part of the CASRA Off-Season Education program. Quantum Sails Chicago presented two of the 2018 Quantum Seminar Series during March. In case you didn't attend, or would to review the material presented, both seminar slide decks, briefly reviewed below, are now available. There's content in both of these seminar presentation files beneficial for everyone, irrespective of experience and skill. Enjoy! All spring, summer and fall, virtually every weekend, the five yacht clubs that comprise CASRA offer top quality on the water racing for offshore racers in Chicago. In the off-season, these same clubs offer training to racers, to help them be faster and safer on the water the following year, and to judges and race committee, to help run fun, fair races. The following training events, offered by CASRA member clubs, are open to all in the offshore racing community. For sign-up details, see the link provided or check with the club offering the class. Chicago Area Sail Racing Association (CASRA) and founding member clubs, Chicago Yacht Club, Chicago Corinthian Yacht Club, Jackson Park Yacht Club, Columbia Yacht Club, and Burnham Park Yacht Club are excited to announce the 2018 Race Schedule. Development of the 2018 Race Schedule is again this year a complete collaboration by the five founding member clubs that also takes into consideration racers' input from the annual October 2017 Survey of Racers and the subsequent annual December 2017 Town Hall Meeting, as well as the One Design and PHRF fleets' input. Building upon improvements and lessons learned from the 2017 racing season, the 2018 Race Schedule includes some key new features, per racers' requests. New formats to buoy races have been added. A New distance race has been added. The 2017 Casual Races have become a series that will be scored as such and see overall awards at the close of the new Casual Series. Thank you to 2018 Gold Level sponsors North Sails, Pinnacle Yachts, Quantum Sails, Westrec Marinas and Wintrust. Their support of CASRA permits us to support you, the racing sailing community. More frequent updates on News From CASRA will follow this one, as we will now stay in touch all year, including the winter season. Stay Tuned. Let us know what you'd like to see and hear by dropping us a note at chicago.sail.racing@gmail.com. Thanks. We'll see you on the water. We’d like to thank everyone who joined us for our Town Hall Meeting and End of Season Celebration. More than 100 sailors joined us for a recap of the season, and a total of 250 celebrated with us afterwards at Columbia Yacht Club. We enjoyed seeing so many of you, and hope you enjoyed the evening. If you missed the meeting, you can click below to see the results of the survey and our takeaways from it. Like any new organization, we had some bumps along the way. But we are delighted with the results in our first year of operation. We saw an average participation increase of 5 percent from 2016. In addition, our Casual Race Series – generously supported by Westrec Marinas – was very successful. The six-race series saw an average of 14 boats on the start line, with more than 20 new types of boats joining our community. And our five member clubs collaborated to run a very successful inaugural Chicago Junior Race Week, with more than 100 junior sailors participating! In summary, more than 62 percent of our sailors believe that CASRA improved racing in Chicagoland. We are particularly grateful to the Chicago Yachting Association and all of its member clubs, which honored CASRA at its annual Yachting Celebration last month! Of course, we still have more work to do. We plan to continue working to bring more people into sailing. We’re going to work to improve our race management and protest process, and work to get documents to you in plenty of time for you and your crew to process them. We are working on the 2018 schedule right now, and plan to publish it by the end of 2017. We owe a great debt of thanks to our sponsors, who provided the support necessary to improve racing in Chicagoland. Thanks to Westrec Marinas, Wintrust, Pinnacle Yachts, North Sails, and Quantum Sails for their support. We encourage you to support our sponsors. Please visit them often, and thank them for supporting racing in our community! We’ll be in touch with you often during the off-season with news and information about the 2018 season. Best wishes for a terrific holiday season. And as always, please share any comments with us at chicago.sail.racing@gmail.com! The trauma, human suffering, and damage inflicted by hurricanes on the many Caribbean and Gulf communities has been devastating. Even more challenging has been the prolonged recovery of basic infrastructure. While these are sailing venues frequented often by many from the Chicago area sailing and racing communities, the many islands and coastal communities are also home to friendly outgoing people who welcome visiting sailors and racers with warm hospitality. CASRA supports the local Turn The Tide hurricane relief effort, initiated by the local sailing community, to aid rebuilding and restoration of the British and US Virgin Islands. Please offer any support you can. Looking forward to seeing you Nov 17th at Turn The Tide Virgin Islands Relief. More details are below. While responses to the 2017 iteration of the annual CASRA Survey have been great since the launch on October 4, 2017, your input is certainly desired to help CASRA and the member yacht clubs improve plans for 2018 over this year. If you've not yet taken the survey please do so at your earliest convenience. We encourage you to forward this survey email to all your racing friends. Survey results will be shared at the CASRA Town Hall Meeting on Friday, November 10th starting promptly at 6:30pm at Columbia Yacht Club rail deck. Come to the meeting, have a free beer, and hear what all racers have to say. Immediately following the Town Hall Meeting will be the annual CASRA End Of Season Celebration. More details on the Town Hall and Celebration will follow shortly. If there are any questions please direct them to chicago.sail.racing@gmail.com. Hold the date & mark your calendars everyone for the CASRA End of 2017 Season Town Hall Meeting & Celebration. Details to follow shortly. In the interim, email questions to Chicago Sail Racing chicago.sail.racing@gmail.com. CASRA and the five clubs comprising CASRA look forward to seeing you all there. Please make plans to join on Saturday, September 9th for the Chicago Regatta, presented by Wintrust. The Chicago Regatta is a Chicago Yacht Club event, consisting of five different events – a buoy race for smaller one-design boats, a distance race for offshore boats, a casual race for newer sailors (and those seeking a more relaxed event), an M-32 catamaran regatta, and a poker run for power boaters. 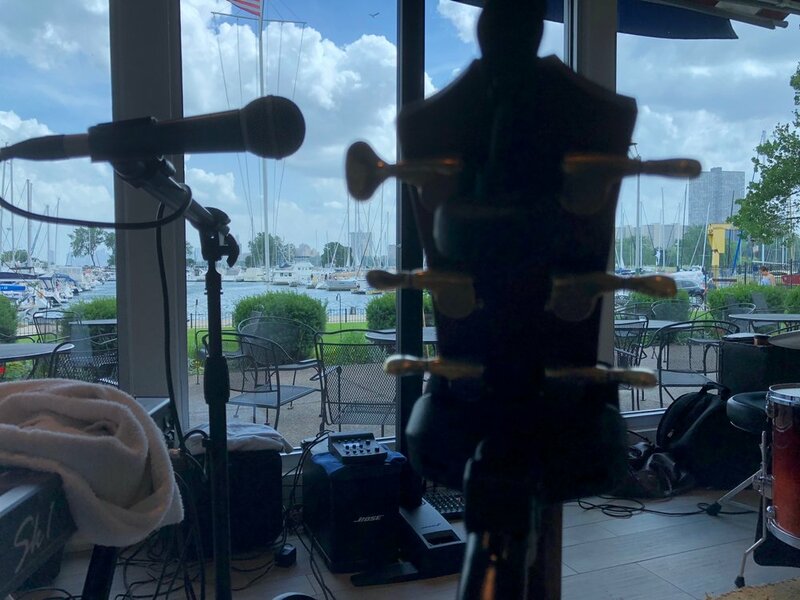 After the on-water events, please join us at Chicago Yacht Club’s Monroe Station for a fabulous party, complete with a live blues band, a “Sweet Home Chicago” buffet dinner, and awards presentation. We’re also planning a great silent auction, where you’ll be able to bid on many terrific items, such as sailing gear, coaching sessions with world-class sailors, slips, deluxe Chicago river cruises, rides on M-32 catamarans, gourmet dinner packages, and much more! Each of these organizations helps Chicago-area kids in different ways. If you can join us for the Chicago Regatta, please consider a donation to one or more of these great groups. To learn more about our Chicago Regatta charities, and to sign up and make a donation, please review the flyer below and visit www.chicagoregatta.com. I look forward to seeing many of you in St. Joe this weekend, and at the Chicago Regatta on September 9th! We’ve had a terrific August of racing so far! Congratulations to Vayu for winning overall honors in the Columbia Cup, and to Kashmir for winning overall honors in the Verve Cup Regatta. This week, we have two very special races planned. 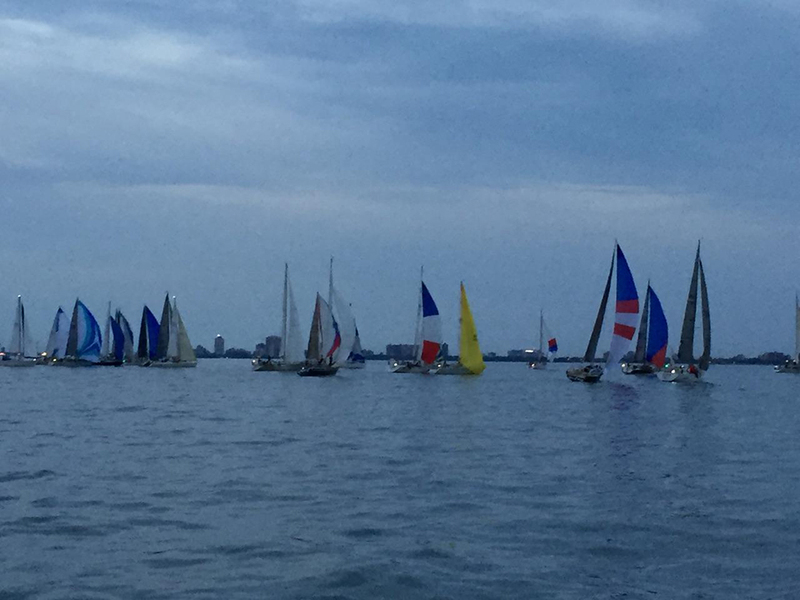 On Friday night, Chicago Yacht Club is running its annual Junior Night Navigational Race. It’s a quick race. Kids must drive and navigate. After the race, we’ll have an awards ceremony at CYC Monroe Station. Do you have some great junior sailors? Enter this race and put them on the helm! Click here to register. On Sunday, Burnham Park Yacht Club and Jackson Park Yacht Club will run a Casual Air Show Race. What could be better than an air show and a race, all rolled into one? Enter the casual series (if you haven’t already), grab your friends, and watch the show while you enjoy the race. Click here to enter. Thanks to Scuttlebutt Sailing for its recent coverage of our new Casual Series. Click here to read the article. As always, please share comments and ideas with us at chicago.sail.racing@gmail.com. We hope to see many of you on the water this weekend! Thank you all for participating and congratulations to the winners! Send us your pictures and win MONEY! Everybody knows that one of the best things about sailing is the beauty that we get to see every time we are out on the water. Now is your chance to share that beauty with CASRA—and win some cash too! Announcing the CASRA photo contest. Here are the details. Beginning today and running through July 31, e-mail your best sailing pictures taken during the 2017 racing season to us at chicago.sail.racing@gmail.com. We will judge all the entries, and announce the winners in early August. Simple as that. We will publish many of the pictures on our social media sites and use them to populate our website throughout the rest of the year!!! So get out your cameras (or most likely your phones) and snap away!! Thanks to everyone who joined us for this past weekend’s night navigation race to Michigan City and back to Chicago. The storms missed the fleet, and the breeze held – mostly throughout the entire race. Click here to see the results. This weekend is our final weekend of action before many of us head to Mackinac. Jackson Park is running its Lutz Trophy Race – both distance and buoy races – on Saturday. Click here to sign up. Join the fun this Sunday. Click here to register for the Casual Race Series. 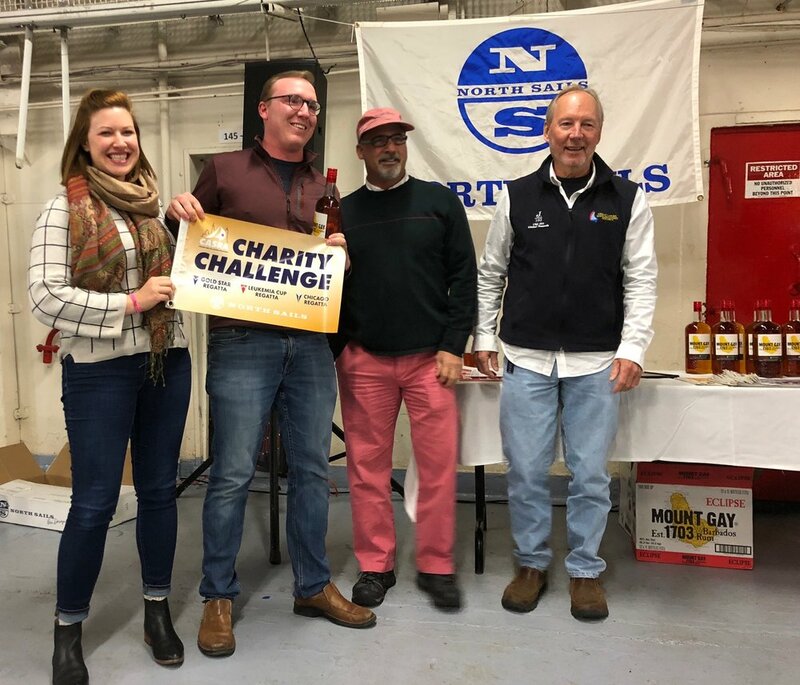 Awards party for both the BPYC June 25th Casual Race and the ColYC July 9th Casual Race will be held on ColYC's Aft Deck under the tent, immediately following racing on Sunday July 9th. See you on the water. And please keep comments and ideas coming to chicago.sail.racing@gmail.com. We’ve had a great season so far. Chicago Corinthian Yacht Club and Columbia Yacht Club have led off with the first two events of the season. Participation in these events is up approximately 20 percent over last year’s numbers! Thanks to everyone who joined us so far this year! This week, Chicago Yacht Club is up with the Chicago NOOD regatta. There is still time to enter and join the fun – both buoy and distance races. Click here to enter this weekend’s races. And CCYC is getting ready for our first port-to-port race of the season, with the Waukegan race. Click here to enter. Many CASRA clubs are using the CASRA Safety Regulations. We have made some slight modifications to the regulations, including provisions regarding requirements regarding carrying of knotmeters, depth sounders, emergency antennas, jacklines, flashlights, and reefing equipment. Please click here to review the current versions of the Nearshore and Offshore Safety Regulations. Please note that all clubs have the ability to amend these regulations as they see fit, and may use alternative safety regulations, so please consult race-specific amendments for updated information and requirements. Note also that, per the Sailing Instructions, only the Race Committee may protest a boat for safety equipment violations. We are very excited about the new Casual Race Series, presented by our friends at Westrec Marinas. This series is free to all boats in the Chicago Park District system. It features an easy, low key start, a clear, easy to follow course, and a fun party at the end. Are you new to racing? Want to bring family and friends for a casual race? Click here to enter, and click here to review the Notice of Race and the Sailing Instructions for the series. Encourage a boat that has not previously raced in a race sponsored by a CASRA member club to enter the Casual Series. Tell us the name of the boat and skipper whom you encouraged at chicago.sail.racing@gmail.com. If that skipper enters the series and participates in one of these races, you will win a North Sails gift pack! Second, would you consider helping out on Race Committee this season? We always need help. Please send a note to chicago.sail.racing@gmail.com if you’d be willing to serve on one of our race committees. We’d like to extend a special thanks to our Gold Level sponsors for their support: Westrec Marinas, Wintrust, North Sails, Quantum Sails, Pinnacle Yachts, and Line Honors. Watch for more information about their participation in CASRA during the coming weeks! We continue to meet regularly during the sailing season, and discuss how we can improve your racing experience. Please provide comments, questions, and feedback at chicago.sail.racing@gmail.com. We are sad to inform you that James Webb, the Immediate Past Commodore of the Jackson Park Yacht Club, suddenly passed away last weekend. Jimmy was a co-skipper of the T-10 Witch-Craft, and had competed in 43 Races to Mackinac, as well as hundreds of races across Lake Michigan. Jimmy regularly gave back to the sport through his decades of service to JPYC, and through his work as a CASRA Board member during this inaugural year. Our sincere condolences and prayers go out to family and friends. All services will be held this coming Saturday. For funeral info: 630-834-3515 or www.ahlgrim.com. If you are interested in sharing about Jimmy during the service, please submit a written version of your speech to Kim Webb at jknacwebb@comcast.net by Friday, June 2nd at 5:00 p.m. In lieu of flowers, the family would appreciate a memorial donation to the JPYC Foundation for the "Jimmy Webb Junior Scholarship Fund." To make a donation, please click on the following link: www.jacksonparkyachtclub.org/jimmywebbjuniors.html. 2017 RACE REGISTRATION NOW OPEN! CASRA is using “Yacht Scoring” as our registration platform this year. Many of you have used Yacht Scoring for other Chicago-area events, including the NOOD, Verve Cup, and Colors. The Race to Mackinac also uses a system that runs on the Yacht Scoring platform. If you have ever registered for a race on Yacht Scoring before, you can use your same login credentials to register for CASRA events. If you have never used it before, a simple one-time registration is required which will then carry your data forward to every event for which you register. In the past, entry to these races has required membership in other organizations, as well as the payment of administrative fees. These requirements have been eliminated for most races. All distance and buoy events are $50, with no additional fees required by CASRA. Entry deadlines for all races is 72 hours prior to the race’s start. This year, most CASRA events will use LMPHRF “time on time” scoring. This is a change from prior years, which utilized “time on distance” scoring. For registration purposes, you can simply enter your current LMPHRF rating. The rating will be converted to a time on time factor for scoring purposes. Because races are run by different clubs within CASRA, you will need to enter races individually. Once you enter a race, you will click the “return to event” link to bring you back to the CASRA landing page. From there, you will click on the next event you want to enter. While registration must be done on a race by race basis, the process is fairly quick – and can take less than a minute per race. Yacht Scoring will remember your boat and contact information, and populate your entry fields for you. This year, CASRA clubs are offering a series of Casual Races, which are designed to be fun, easy, and friendly for new and experienced racers alike. Click here to review the Notice of Race for the Casual Series. Thanks to generous support from Westrec Marinas, this races are FREE (no, this is not a misprint) to all boats with moorings in the Westrec system. Boats will be assigned a “CASRA rating” for the purpose of these races – you will not need to purchase a rating certificate to participate in these races. Click here to enter your boat in the Casual Series (one entry will be good for all six races). Watch for additional information about the Casual Series in future e-mails. If you encounter any issues, please e-mail us at chicago.sail.racing@gmail.com. We will get back to you as soon as we can. The season will kick off on Saturday, May 27th, with Chicago Corinthian Yacht Club’s Spring Opener, with the Olympic Cup following on Sunday. We are looking forward to seeing you on the water often this year. The five founding member clubs that make up CASRA place safety at the forefront of sailboat racing. Since the day CASRA was formed, safety has been integral to all work that commenced on improving and growing sail racing along the Chicago waterfront. For the 2017 racing season, the five founding member clubs of CASRA have developed and adopted broad requirements for both nearshore and offshore races for which the clubs are the Organizing Authorities (OAs). The 2017 Nearshore Safety Equipment Requirements and the 2017 Offshore Safety Equipment Requirements are now available. These safety requirements must be adhered to by all competitors participating in the races that are organized and administered under the Common NORs and SIs. Official documents will be published on yachtscoring.com with courtesy copies available on this site under Race Docs. Enjoy the 2017 season that is about to commence, and above all, sail safe. CASRA welcomes Quantum Sails to the growing list of Gold Level Sponsors supporting sail racing growth in the Chicago Area. In a nod recognizing the growing attractiveness of port to port distance racing, Quantum Sails has stepped forward to sponsor a new distance series as a Gold Level Sponsor of CASRA. Quantum will crown a “Quantum Distance Race Series Champion" and award prizes to the overall winner from the following events. The Notice Of Series (NOS) will be published soon. Quantum Sails will further support sail racing growth in the Chicago area with racing education seminars, post race debriefs, and practice starts for sailors new to racing in the CASRA Casual Series. CASRA is excited to be partnering with Quantum Sails with the “Quantum Distance Race Series Champion" and welcomes them as a new Gold Level Sponsor for 2017. CASRA is pleased to announce and welcome Wintrust as the Official Bank of CASRA, and a Gold Sponsor as well. Wintrust's demonstrated commitment of supporting several Chicago area sports teams, sporting events, and programs make them an ideal partner with and sponsor of CASRA. With prior and current involvement in major sail racing regattas, Wintrust is known and respected by racers, yacht clubs, and the community at large. Through it's network of community banks Wintrust has been serving Chicagoland communities for 25 years. As a strong supporter of Chicago based sports teams, sailing regattas, and community outreach activities, CASRA looks forward to a long term relationship with Wintrust. We are proud to have them on board. Following the creation of CASRA by the five premier yacht clubs in Chicago, over the winter representatives got to work on several topics. One being to determine how they could collaborate to extend this passion for sailing and improving the sport to junior sailing in Chicago. CASRA club reps were joined by our friends at the Chicago Park District Sailing Program, who also run a youth sailing program in the city. Recognizing the need to encourage youth sailors and grow the sport, the five clubs decided to jointly organize and host a new event, Chicago Junior Race Week, this summer. The notices of race are published at www.chicagojrw.com. This exciting multi-day event will draw youth sailors from ages 7 to 18 from all over the Great Lakes, and beyond, to Chicago for three days of high-caliber racing on Chicago’s beautiful lakefront this June and July. In cooperation with the Sheridan Shores Sailing Schools, the event will kick off with the “Mini-Mac” - an 8nm distance race for Optimists, Lasers and C420s from Wilmette Harbor to just off of Chicago’s Belmont and Montrose Harbors. This distance race down the lakefront will expose youth sailors to distance racing strategy and tactics in a safe manner close to the Illinois shore, and will let them get a taste of what many of their families get to experience in the Chicago Yacht Club Race to Mackinac a few weeks later as well as during the many other distance races run by other clubs in Chicago and throughout the Great Lakes. The Mini-Mac is an optional part of the Race Week and will be particularly fun for those who participate in the Wente Cup at Sheridan Shores held June 28-29. Following the Mini-Mac, on July 1 and 2 youth racers in Optimists, C420s, 420s and Lasers, as well as ‘Beginning Racers’ who may be attending their first regatta will enjoy two days of high-caliber, fun fleet racing in Chicago. Optimist sailors will race out of Chicago Corinthian Yacht Club in Montrose Harbor, while C420s, 420s and Lasers will be racing out of Chicago Yacht Club’s Belmont Station in Belmont Harbor. At the end of the regatta, an overall winner of the Chicago Junior Race week will be announced. For those youth sailors new to racing, perhaps attending their first regatta or just dipping their toes into competitive sailing, Jackson Park Yacht Club will host a ‘Beginner Racer’ class in the protected waters of Jackson Park’s Outer Harbor. Sailors of almost any ability level, in any type of singlehanded youth dinghy, will get to try out racing and see what their older or more experienced friends love so much about the sport. This is another way the five Chicago yacht clubs are trying to share our passion for the sport of sailing with all sailors, of all ability levels. The five clubs will bring their combined resources to bear to ensure that this event is world-class. These clubs have tremendous race committees and judges, dedicated volunteers both on the water and off, and great facilities on Chicago’s lake front, supported by top-notch professional staff. Our friends in the power fleets and cruising sail fleets of our clubs will be supporting this event, as they do all the racing events at our clubs, through their volunteer time and great support on the water. Families of youth sailors will get to experience Chicago in the summer, over a holiday weekend, and all that it has to offer visitors. Members of the five organizing clubs will take families out on the water to help them see their kids race. Coupled with fun social events at the host clubs, this will be an excellent way for racers and their families to enjoy a fun weekend of racing in America’s greatest summer city. Growing participation in the sport of sail racing has to include starting at the bottom - in the next generation of sailboat racers. By offering fun, competitive racing in a world-class city, the five clubs comprising CASRA are working towards providing a great experience for youth sailors, helping them to develop a life-long passion for the sport. Registration for Chicago Junior Race Week is open now at chicagojrw.com or via yachtscoring.com. We encourage you to follow them at facebook.com/ChicagoJRW for the latest information on this great event which will certainly become an annual summer tradition. These races are designed to be fun and easy for new and experienced racers alike. All races will start at 12:30 PM, to allow more time for racers to get on the water. Races will be approximately 7-11 miles, and will end by 4:00 PM. All six races will be free to all boats renting moorings from Westrec in the Chicago harbor system. Starting procedures are simple and easy to understand. The start line will open at 12:30 PM and close at 1:00 PM, and boats may cross the start line any time during that half-hour period. The Race Committee will record each boat’s start time, and subtract it from its finish time. The Race Committee will use the resulting elapsed time to score the race. CASRA will offer informal ratings for all boats free of charge, so new racers need not pay for a rating certificate. Yacht clubs will separate new racers from experienced racers, to the extent possible. Each sponsoring yacht club will host a fun party and awards event after each race. Easy. Fun. Simple. If you are new to the sport, this is a great way to try sailboat racing. If you are an experienced racer, this is a great chance to have some fun on the water, and introduce less experienced people to the sport. Watch for further information in the coming weeks at chicagosailracing.org, and special thanks to Westrec Marinas – CASRA’s first Gold Level sponsor – for making this new series possible! All five founding clubs that created CASRA (Chicago Area Sail Racing Association) have races scheduled all season long. See the 2017 race schedule at chicagosailracing.org. For those wanting to learn to sail and race in these events, check out the programs of the CASRA clubs below. Chicago Corinthian Yacht Club’s “Crew School” is a hands-on training program for anyone who is interested in learning the skills to become a valued crew member on a racing sailboat. Crew School is held on six consecutive Wednesdays from April 5 through May 10. Experienced skippers at CCYC will introduce you to nautical terms, points of sail and sail trim, crew roles and responsibilities, behavior on board, what to wear, safety equipment, racing rules and more!! At the end of Crew School, graduates will be introduced to racing skippers at CCYC, and will have an opportunity to begin racing immediately! Click here to learn more, email crewschool@corinthian.org or call 773-334-9100, ext 707. Chicago Yacht Club Crew U is a seven-week program that starts in May and goes through June. This class is led by members of the Chicago Yacht Club who offer their boats and wisdom to help you get the skills you need to crew on a boat. The course includes some classroom instruction, but the vast majority is taught on the water. The classes are held on Tuesday nights, and many students get additional practical experience racing on offshore boats during Wednesday night racing. If you are interested in being part of yacht racing on Lake Michigan, this is a great way to up your experience and build relationships that may yield a position all summer long on one of the boats. Columbia Yacht Club's Skipjacks program is a social introduction to sailing which takes place Tuesday evenings over the course of seven weeks with club member captains doing the on-the-water instruction on their own boats. The class sizes are appropriately sized allowing students to sail on many boats, meeting all captains and students. It’s a tremendously fun program and helps people get comfortable on boats and learn the basics of sailing and racing. Lifelong relationships begin here. Many Skipjacks participants become cruising and/or racing crew with the Columbia captains they meet in the Skipjacks program. This course runs May 9-June 27, 2017, Tuesdays at 6:30pm. Columbia Yacht Club's Skipjacks Advanced program is an accelerated Keelboat Certification program for those having previously completed the Skipjacks program. This course runs May 23-June 27, 2017, Tuesdays at 6-9pm, or July 25-August 10, 2017 Tuesdays and Thursdays at 6-9pm. Click here to learn more or email skipjacks@colyc.org. Since the Dec 2016 Survey of Racers and subsequent CASRA Town Hall Meeting, significant work has been underway by CASRA and the five founding member yacht clubs in Chicago. The 2017 race schedule is a thorough coordination by all five clubs. There are no overlapping events that conflict with others among these five clubs. Boat owners, racers, and crew are now able to race any/all events in the Chicago area without having to prioritize one event over another due to scheduling. The prior 'dry spell' of buoy racing, brought to CASRA's attention by one of Chicago's largest and competitive One Design fleets, has been eliminated. The 2017 schedule has been reconfigured to eliminate clumping of buoy racing and thereby also eliminating buoy racing dry spells of prior years. Addition of new distance races along the Chicago waterfront, and racing later in the season has been added per input from racers via the survey and at the town hall meeting. Recently, CASRA conducted a survey of sailors in the Chicagoland area. The purpose of the survey was to learn what sailor like and don’t like about the racing in Chicago. And most importantly, to learn what CASRA can do to make things better starting in 2017. Almost 200 sailors responded to the survey and provided some great input. On December 10, 2016, the Chicago Area Sail Racing Association (CASRA) sought input from racing sailors across the City. CASRA hosted a “town hall” meeting at Columbia Yacht Club at which CASRA leaders reviewed sailors' responses to a survey which had been distributed to sailors three weeks prior the meeting. Approximately 100 sailors braved the bitter cold temps and early hours of the first winter storm of the season to attend. Interest in the survey results, posted here on the CASRA website, was significant. 29% of those polled responded to the survey. Given the significant response, sailors attended the meeting to voice concerns and learn what the 2017 sailing season may look like. CASRA leaders fielded questions, comments and observations from participants on how to improve racing in 2017 and grow our sport. Sailors’ concerns will be addressed by each of the five clubs comprising CASRA’s Board as they work to complete the DRAFT 2017 Race Schedule which had been introduced at the meeting.